If you think about it, making a transition from banking to cigars is not much of a stretch. After all, it was German banker Herman Upmann, who, in 1840, began having the Cuban brand made that still bears his name today. Upmann made the cigars because he liked to smoke them, and to promote his bank in Havana. 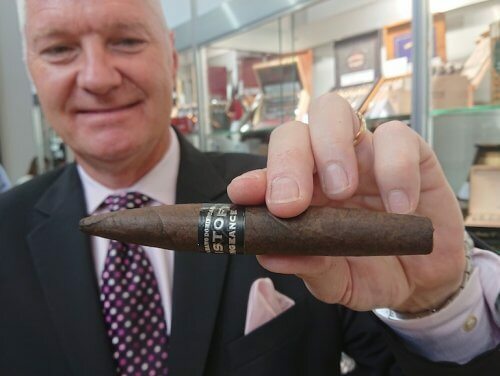 For modern-day banker Glen Case and Kristoff Cigars it was more for economic reasons, and his cigars are named after his son, Christopher, not himself. 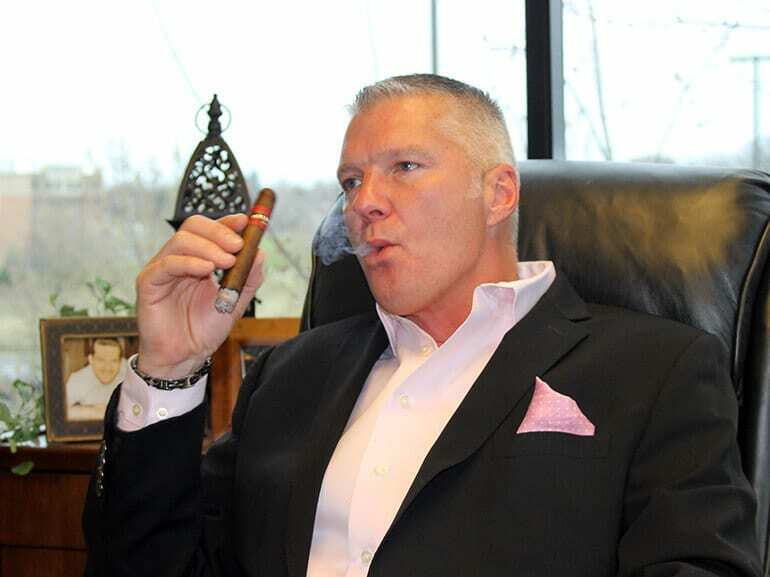 Glen Case has been smoking cigars since his teens and spent about 18 years in the financial industry. The stress of the corporate world took its toll, and in the early 2000s, Glen decided to try something different. His wife, Teri, had been a successful cigar broker, as was her father, so Glen decided to join the family business and represent cigar brands in the United States. Unfortunately, their success ended up hurting them when one of their biggest clients came to them, saying “You’ve done such a good job for us, we’re going to fire you and go in-house.” Glen thought it was crazy, but his wife told him that’s just the brokerage business. Vowing not to go through that again, Glen and his wife decided the best way to continue was to start making their own cigars. Glen was about to make this decision in 2004; as luck would have it, Rolando Villamil from the Charles Fairmorn factory in the Dominican Republic was in Chicago to ask the Cases to represent the cigars he was going to make for the US market. Glen told him that he was no longer in the business and, instead, wanted to make his own cigars. Villamil suggested Case go to the Dominican Republic and see his factory, saying he could blend his cigars there and Villamil would oversee production. Within a few weeks, Case was at the factory and started making cigars. The first cigars he made were Exclusive Cigars – a bundled product today called Premium Select; they come in a Natural and Maduro. The company also makes Cuban Selection, which has a sweet tip. In 2005, Case launched the first original Kristoff – the Criollo. The Kristoff Maduro followed a few months later. Glen has expanded his offerings to a total of 18 different blends, including the Galerones Series, which are the only cigars not made at the Charles Fairmorn factory. Galerones are made by Abe Flores at PDR. Hubert Palus of Top 25 Cigars in Poland adds, “The construction and the presentation of the cigars are outstanding. Not to mention the different blends of tobacco used to create exceptional flavors in every cigar. I can remove the band, and I would still know that I’m smoking a Kristoff.” For this year, Case is adding three more selections … the Kristoff Connecticut, Krisitoff Habano and the Pistoff Kristoff – a smooth cigar that is deceptively strong. This article was published in the 2/2016 edition of Cigar Journal.